During difficult economic times it there is more to worry about than wages and bills. Recessions and other economic issues are often the cause for an increase in thefts and burglaries. People who are not life long criminals sometimes take extreme measures in order to get money for various reasons. While you cannot be at your home 24 hours a day, 7 days a week, there are ways that you can protect it while you are away. Some choose to invest in a home security system. It is true that these can offer peace of mind in tough economic times, but they can also cause problems if you do not read the fine print upon installation. It is important that you are aware of some of the scare tactics that many home alarm system companies employ in order to gain new customers. Some of them will spout out crime statistics to convince you to buy their services. They often take an aggressive approach to selling their systems, while locking customers into a monthly contract. Hidden fees and increased monthly premiums are some of the issues home owners face when it comes to buying a new alarm. Make your decision on a home alarm system through practical means, and do not give in to scare tactics. A purchase made on impulse could become one that you will regret in the near future. Once you have decided to purchase a new home alarm, you need to decide what you need it to do to make you feel safe. Some of the more advanced home alarm systems allow you to view real time footage of the inside and outside of your home. You can view it from home or even from your phone in some cases, this level of protection is usually reserved for homes which contain significant quantities of valuables. They alert the homeowner as soon as the home is breached. Good alarm systems automatically notify the police that an intruder is in your home. This is a good preventative measure because it gets the burglar on tape, and it relays your address to the authorities at the same time. Some people opt for a more simple form of home security. You can buy some devices which emit a loud noise upon entry if a code is not submitted in time. While these do not automatically call the police, they do alert neighbors to suspicious activity. This might enable a neighbor to take a look outside and get a description of the get away vehicle, as well as a license plate number. These types of systems do not require monthly payments, and they are relatively cheap to install. The main key to finding the alarm system that is perfect for your home is to assess the danger level in your area. Do not get scared into buying an expensive system if your home does not require this level of security. 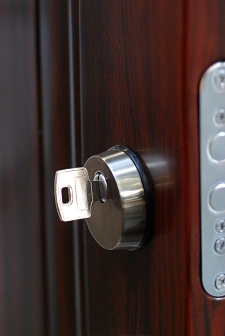 Once you get the right alarm for your house, you can rest comfortably knowing your belongings are safe.